Elizabeth Malfonte is certainly not the aged widow he had anticipated. She's young and beautiful, with a determination that wakes something deep within Geoffrey. Yet Elizabeth hides her own secret―the babe within her womb. And despite Geoffrey's handsome―yet scarred face―her new employer has a cold and unforgiving nature that unsettles her, even as Elizabeth's wariness slowly heats to desire. This book reminded so much about Jane Eyre and Wide Sargasso sea combined that I wish I would just run down the road explaining everyone the similarities. And I am kind of surprised that I haven’t read more reviews that addressed this issue, because while Love’s legacy has a more drama aspect, it is definitely worth reading for its parallelism with these novels. The main characters: Elizabeth, who is a governess (hello Jane Eyre) goes to work for a man Geoffrey who has a scar and is bitter (hello, Mr Rochester, I love you!). While reading these kind of stories, I always thought that they were more a retelling of Beauty and the beast. I do realise now that maybe Jane Eyre’s hero plays a more significant role in modern literature than actually Beaumont’s tale. For a reason, readers do love the grumpy, arrogant man who in the end is capable of love and has a sort of tragic past, which played a part in him being like that. The relationship between Geoffrey and Elizabeth is a little warm, it’s not boiling, it’s not hot, it works for most parts and the daughter Angelina is a nice touch. As far as characters go, I have no complaints: Elizabeth is a nice woman who wants her baby to be born and safe; Geoffrey is a bitter man as a result of his last marriage but soon finds out that he harbours more feelings for Elizabeth than he wants. Angelina is a victim of her mother’s disdain and his father’s hatred. He sees in her the figure of her mother and ignores the child. 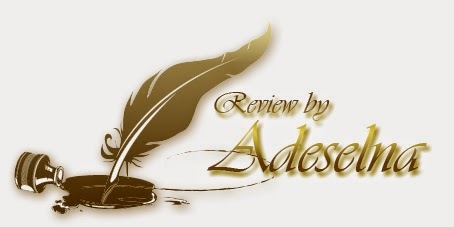 Overall, the novel worked fine due to its solid structure with plenty of heartfelt moments for the reader to have some feelings towards the characters. Overall it’s not a romance novel sugar-coated, it has some drama and some really sad moments which only made it closer to the feeling of reading novels such as Jane Eyre. Even with the atmosphere, you don’t really feel the warm days as much as you feel the author’s voice becoming more interesting when there was a storm or a more gloomy weather. In the end, only one thing didn’t work personally: the transitions between some scenes were somehow too harsh. You could feel some scenes ended almost abruptly. While not all of them did, it was enough for me to notice. 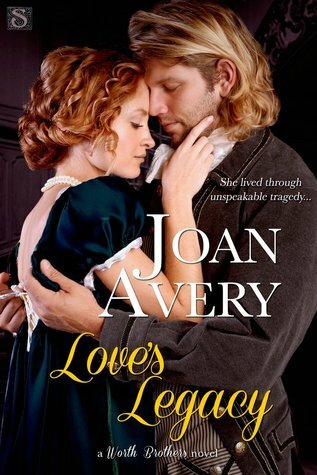 Love’s legacy is worth especially for its similarity of scenarios and plot with Jane Eyre and Wide Sargasso Sea, even if it wasn’t the authors' intention, I believe it is worth reading and take a more closer look. It was definitely different from most of the historical novels that we see publish nowadays and it has all the good ingredients of a story: romance, mystery and drama. It may not be a novel that everyone will love, however it is the perfect book to be read before sailing into more Gothic territory. As a Literature student, I am still fascinated by Avery’s ability to pay homage to a great novel, while not trying to be as great as Jane Eyre or Wide Sargasso Sea, but putting the right elements to be noticed. It is well done, you have to give credit when it’s due.